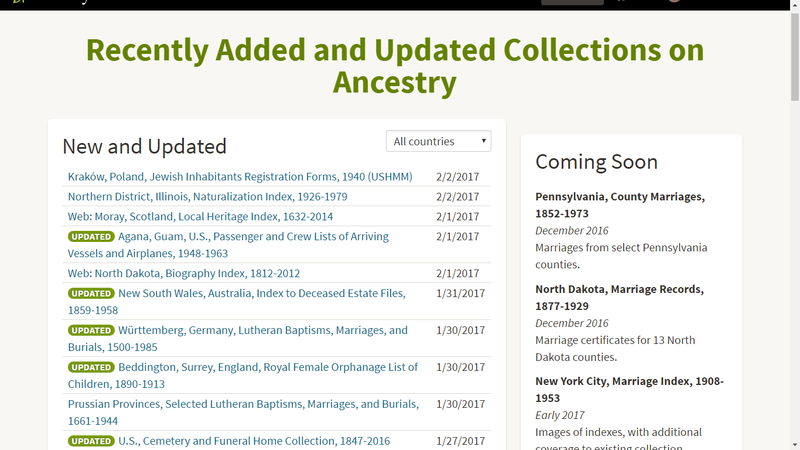 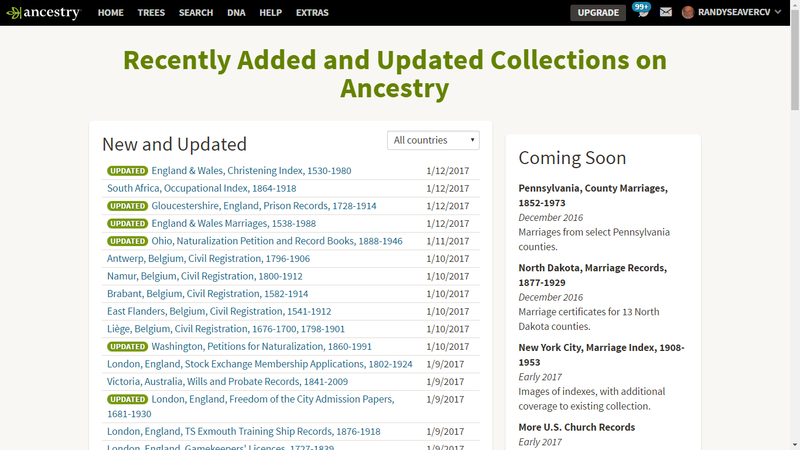 The recently added and updated page on Ancestry.com is at http://www.ancestry.com/cs/recent-collections. 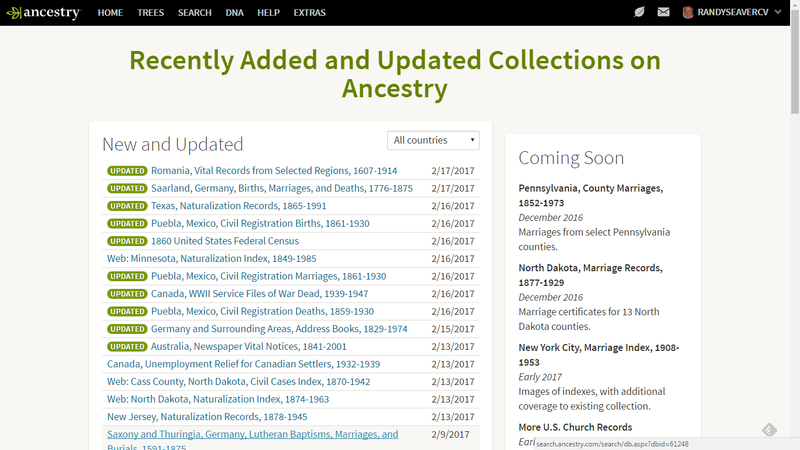 The complete Ancestry.com Card Catalog is at http://search.ancestry.com/search/CardCatalog.aspx. By my count, there were 5 NEW databases ADDED this past week, per the list above. 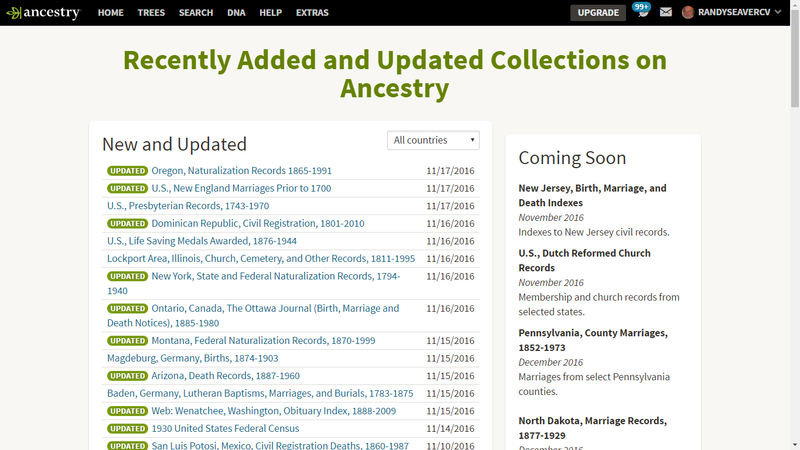 There are now 32,841 databases available as of 5 March, an increase of 5 from last week. 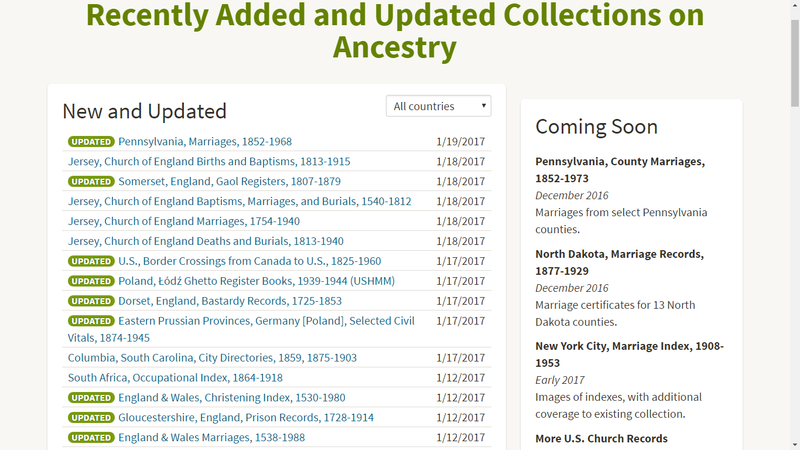 Disclosure: I have a fully paid Ancestry.com subscription. Ancestry.com has reimbursed me for travel expenses to meetings and has hosted meals in Salt Lake City in past years. 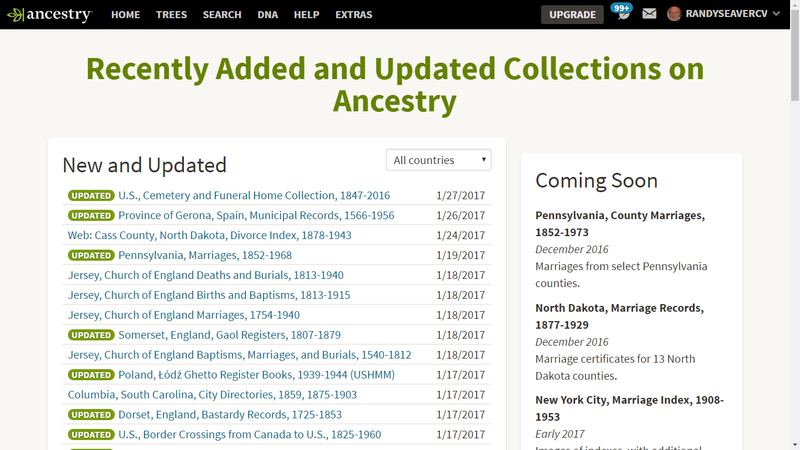 Is There Really an Ancestry.com "Big Tree?" 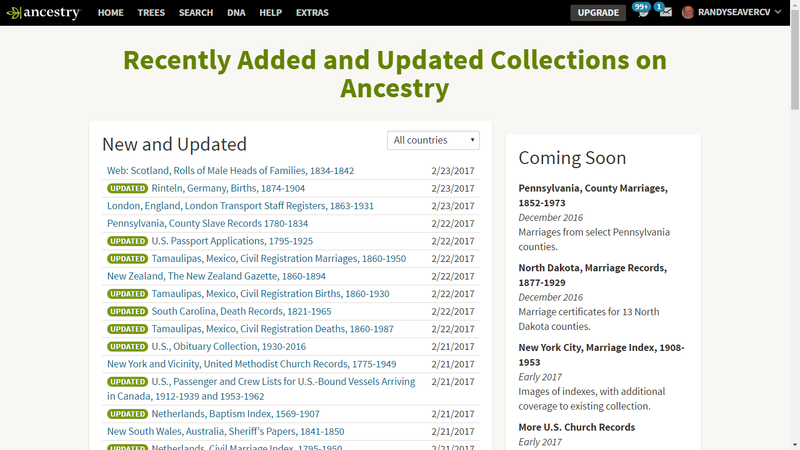 Seavers in the News -- Someone's a Bootlegger!